All material is published under the Microsoft Curriculum Licence. acquire the practical skills to write a simple compiler for an imperative programming language. understand the concepts of scanning, parsing, name management in nested scopes, and code generation. For the lecture we provide a total of 338 slides in both English and German. For the accompanying programming project we provide a detailed specification including a description of the Z# programming language and a description of the subset of the Common Intermediate Language (CIL) relevent for the project. Additionally, we offer code fragments for the compiler classes that should help students get started with the project, and a set of NUnit test cases as well as sample Z# programs to test the compiler. Holds a master degree from the University of Linz. Special interests include compiler construction and object-oriented programming. He lead the "Compiler Generation Tools for C#" project funded by the 1st Rotor RFP. PhD in Computer Science (University of Linz, 1987). From 1988 to 1994 assistant professor at ETH Zurich with Prof. Niklaus Wirth. 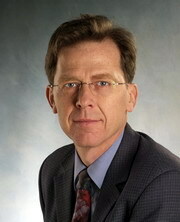 Since 1994 full professor of Computer Science at the University of Linz, Austria. Head of the Institute for System Software. Besides teaching courses on compiler construction, (object-oriented) programming, algorithms & data structures, and .NET, he also regularly lectures at the Oxford Brookes University, UK, and appeared as a speaker of various .NET events.